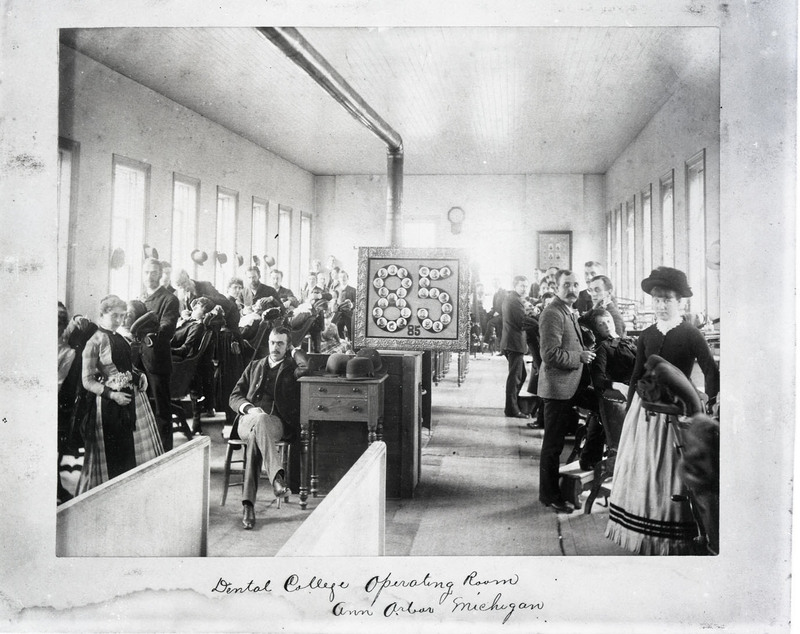 Image: Surgery and anatomy class, U-M Medical School, circa 1893. 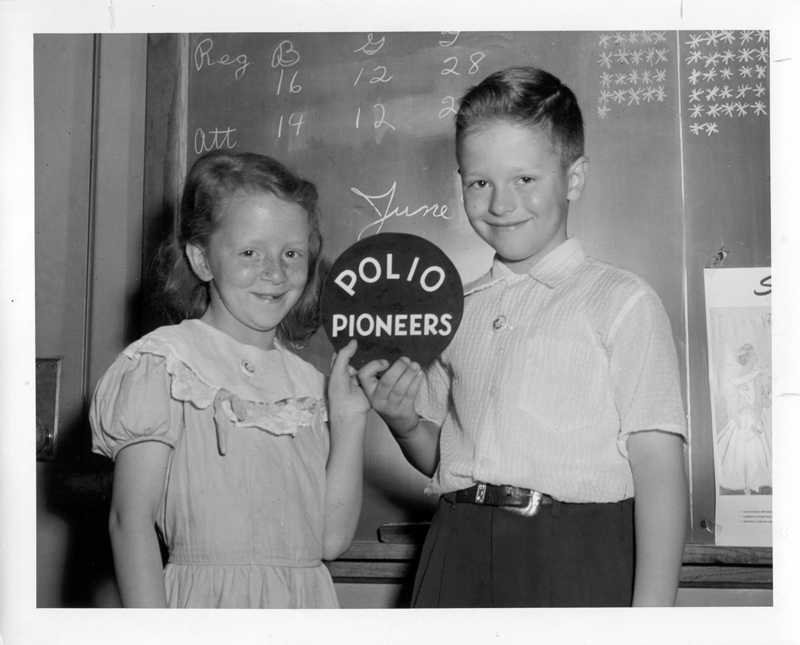 Photo credit: U-M Medical School records collection, Bentley Historical Library. Founded in 1817, the University of Michigan established various health sciences schools and colleges during its first century, including the Medical School, School of Dentistry, College of Pharmacy, and the roots of the School of Public Health and School of Nursing. In 1869, U-M became the first U.S. university to own and operate its own hospital, and was one of the first major medical schools to teach science-based medicine. Near the end of the 19th Century, research started to become central to the university’s mission, and U-M continues that tradition of excellence to this day. The University of Michigan is founded in Detroit in 1817. 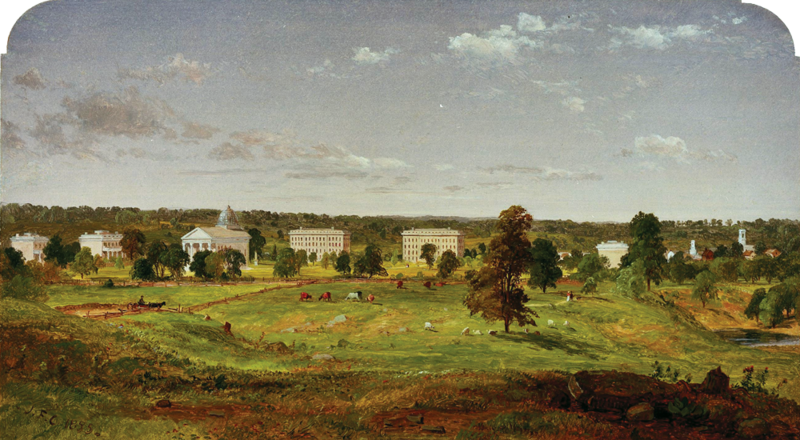 In 1837, the Board of Regents held its first meeting in Ann Arbor and formally accepted the proposal by the town to locate the university there. The first college-level classes were held at U-M in Ann Arbor in 1841. The University of Michigan Medical School opened its doors in 1850 and became U-M’s first professional school. 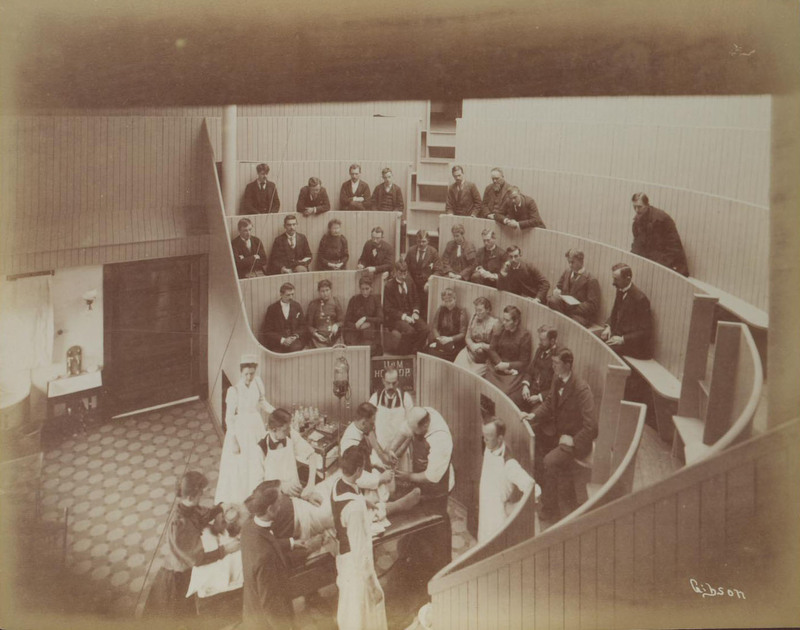 The class of 1885 in the operating dental clinic. From the collections of the Sindecuse Museum of Dentistry, School of Dentistry, University of Michigan (SMD652.114b). The U-M School of Dentistry is founded as the College of Dental Surgery, making U-M the first state university in the world and the second university in the U.S. to offer education in dentistry. The college was renamed the School of Dentistry in 1927. 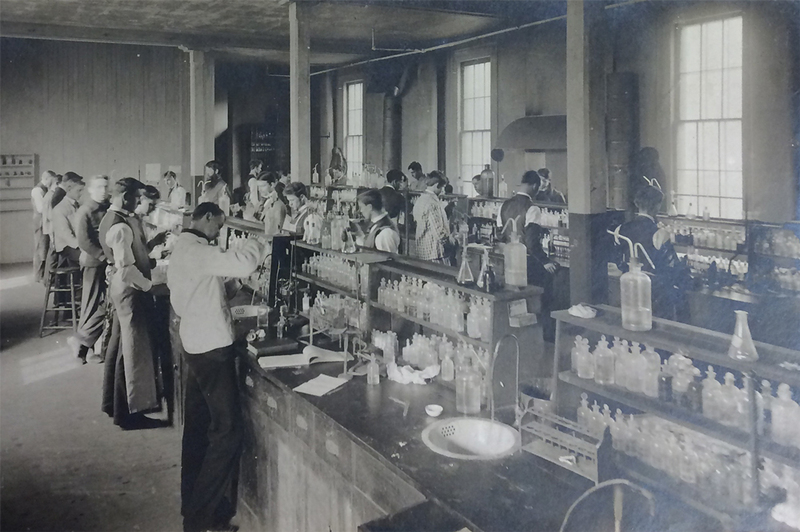 First Pharmacognosy Laboratory at U-M, circa 1880s. 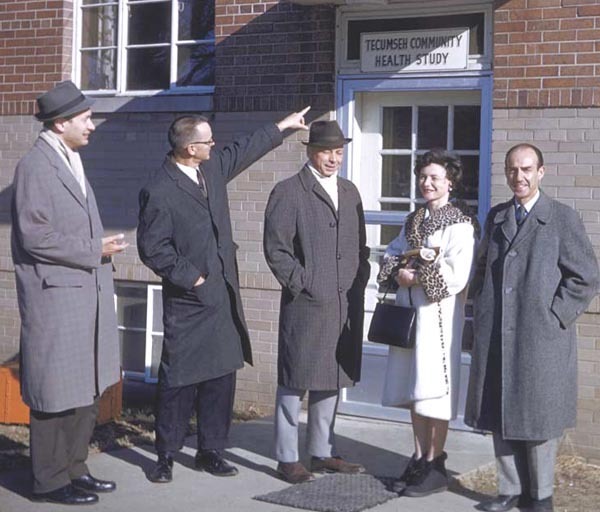 Photo credit: Bentley Historical Library. The U-M School of Pharmacy was established as the School of Pharmacy, becoming the first pharmacy school in a public university. It became a college in 1915. The teaching of sanitary science (part of the origins of the modern public health field) begins at U-M.
Elba L. Morse (back row, left), maternity nursing instructor, with U of M Training School nursing students, 1915. Morse devoted more than 50 years to the care of women and children and was inducted (posthumously) into the Michigan Women’s Hall of Fame in October 1990 - the first nurse to receive this honor. Back row, L-R, Elba Morse, Madge Kniffen, Dr. Loomis, Pearl Dowe, Belle Ellis; front row, L-R, Hazel McFayden and Olive Sutherland. 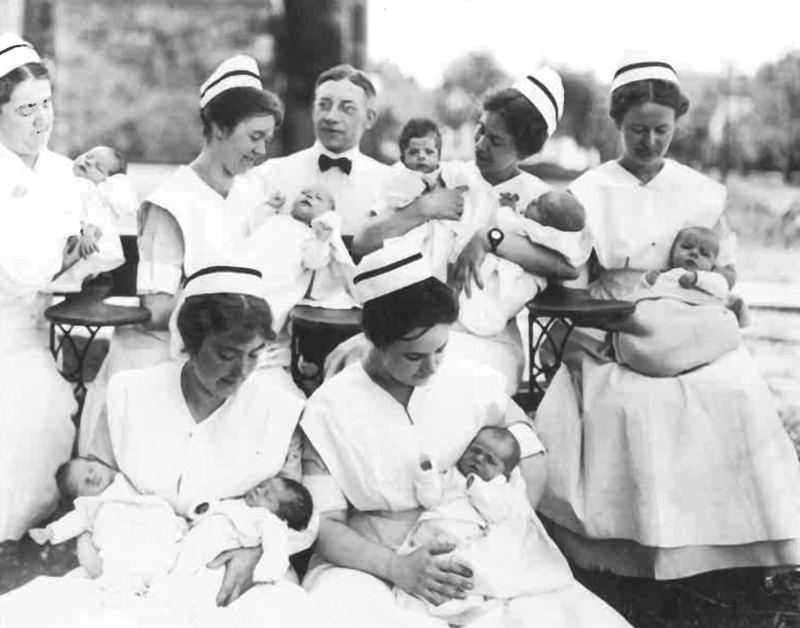 Photo credit: Nursing History Society of the University of Michigan. 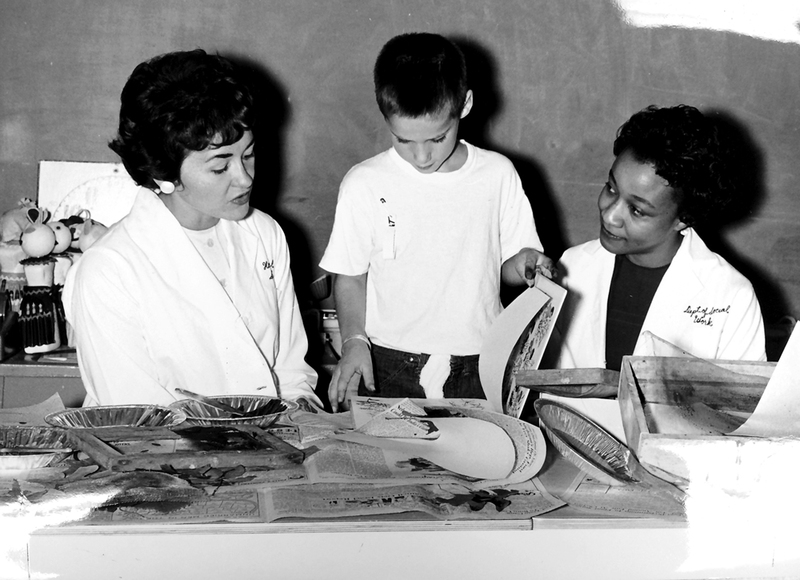 The U-M Training School for Nurses is established in response to a growing need for professional nurses, organized and operated under the auspices of the Medical School. It was reorganized as the U-M Hospital Training School in 1912. The university awarded this degree to Edna D. Day, who went on to lead the University of Missouri’s Department of Home Economics. The curricula for master’s and doctoral degrees in public health are approved by the Board of Regents. Program leading to the BS in Public Health Nursing is established. The Board of Regents highlights the interdisciplinary nature of public health by moving programs from the Medical School to a new Graduate School Division of Hygiene. “The Social and Economic Aspects of Public Health and Medicine,” believed to be first course on medical care organization and financing offered at a U.S. university, is taught at U-M.
U-M offers its first master of social work degree (MSW) through the Institute of Public and Social Administration (later to become the Institute of Social Work in 1946). 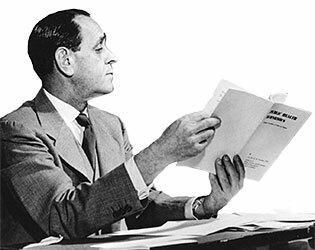 U-M’s Nathan Sinai, a professor of Hygiene and Public Health, develops a voluntary health insurance plan with the Michigan State Medical Society that later becomes a prototype for Blue Shield. U-M’s nursing program is officially recognized as an independent university teaching unit and the name of the school changes to the University of Michigan School of Nursing. The U-M School of Public Health (SPH) is established by the Board of Regents after 50 years of the teaching of disease prevention and health promotion at the university. Public Health Economics and Medical Care Abstracts [which eventually became Medical Care Review (1967) and subsequently Medical Care Research and Review (1995)] is published by the U-M Bureau of Public Health Economics in the School of Public Health [see next]. The Board of Regents approves the Bureau of Public Health Economics within the School of Public Health. Its Medical Care Reference Collection becomes the nation’s primary source of archival information on community aspects of medical care. The Institute for Social Research (ISR), among the world’s largest and oldest academic survey research organizations, and a leader in the development and application of social science methods and education, is established at U-M. ISR’s portfolio of work includes a breadth of research examining the relationships between human health, behavior, and social factors. 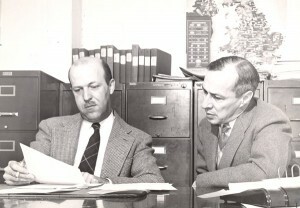 Rensis Likert, an organizational psychologist and developer of the Likert Scale, served as ISR’s first director (pictured at left with Angus Campbell, ISR’s co-founder and second director). 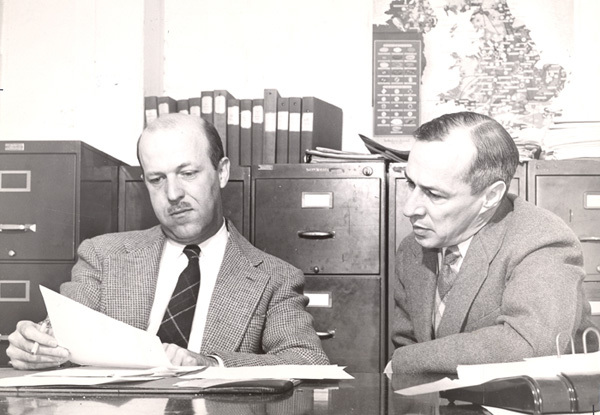 ISR co-founder Rensis Likert, an organizational psychologist and developer of the Likert Scale, becomes ISR’s first director (pictured at left with Angus Campbell, ISR’s co-founder and second director). 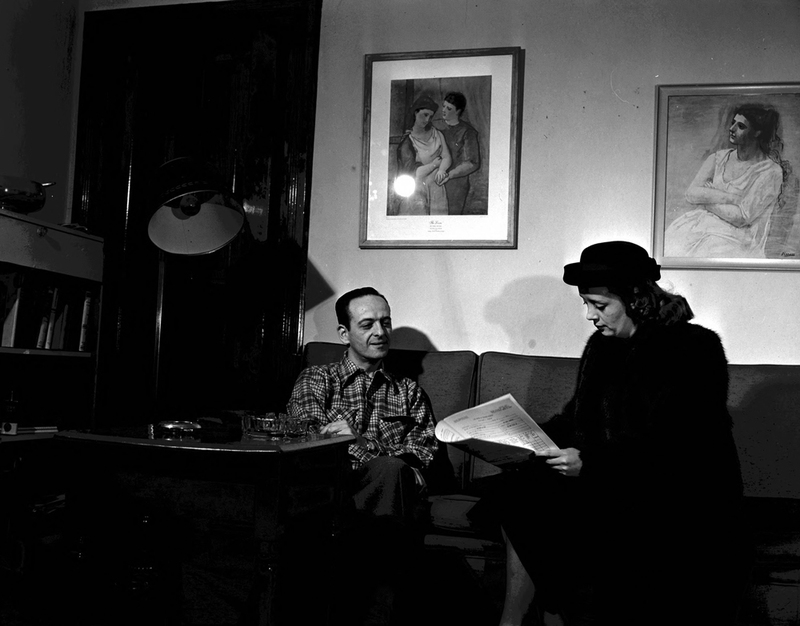 The U-M School of Social Work, preceded by the U-M Institute of Social Work, is established. The Tecumseh Community Health Study begins through the efforts of SPH and other U-M faculty, focusing on behavioral, environmental, and family factors associated with cardiovascular disease and other chronic conditions. The study focused on the entire community of Tecumseh, Michigan, rather than a representative sample. The investigators were able to quantify the role of a number of factors involved in the development of coronary heart disease. The U-M Bicentennial Project showcases notable achievements from the last two centuries, as the university marks its 200th year. The Bentley Historical Library at U-M also has an "informal history" timeline, as shaped by students, faculty, staff and alumni through the decades. The U-M Heritage Project offers an immersive, digital experience of the University of Michigan’s past, and will continue to grow and change along with the university. The Millennium Project website offers a portal to access a rich collection of materials documenting the intellectual and academic history of U-M.
We invite you to submit your own health services research and health policy milestones to add to the compilation on this page. Take the History of Health Services Research timeline with you wherever you go.